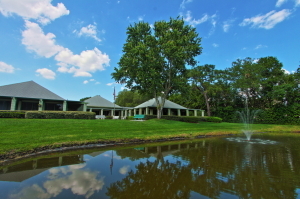 Of all the 55+ communities in the Orlando, Florida, area, Hyde Park stands out as one that is particularly effective at giving retirees the opportunity to get the most out of their retirement savings through the provision of affordable housing, lots of amenities, and an excellent location. Hyde Park, which is located less than 20 miles from downtown Orlando, is an age-restricted development that attracts retirees looking to have fun, stay active, and live in close proximity of other retired individuals who wish to do the same. The great thing about Hyde Park is, it’s not just a place to live … it’s a lifestyle. Unlike at some 55+ communities, our residents have immediate access to a plethora of resort-style amenities that make it easy for them to lead enjoyable, fun-filled lifestyles. If you are nearing retirement and looking at 55+ communities in Florida, why not consider buying a home at Hyde Park just outside of Orlando, FL? We offer affordably priced manufactured homes, lots of amenities, a great location, and, perhaps most importantly, a welcoming environment that is designed with the needs of retirees in mind.